More often than not, seniors may feel bouts of anxiety and depression when worries start to fill their minds, and whether or not their family still loves them and will be there for them. Prove to them how much you love them even at times when you cannot be physically present to care for them by extending your love and concern for them through a personal caregiver from a Healthcare Service Provider in Hawaii. Their assigned caregiver will be there to deliver all the necessary care and attention they require, as well as the supervision that allows them to experience being independent again. Independence may be a word not often associated with the elderly but independence can actually promote longevity and keep seniors happy. Read on the 3-point list below to know how imparting senior independence impacts the lives of your senior loved ones. When they are closely monitored to do things on their own, independence can give them the confidence they need, as it steers clear from feelings of uselessness and weakness. If they do not need further assistance with dressing themselves up and are still proficient in taking care of their basic needs, supervision can mainly be for health and safety reasons, giving them the dignity and pleasure of still being capable. On the subject of being capable, being able to do minor house chores at their age, which can be as simple as washing their used cups and plates, is already a wonderful achievement. Being capable also means they can still do physical activities that will keep them healthy. Walking and exercising are two activities that will boost their mood and will give them a positive feeling and outlook in life. All else, our home care services will still provide light house cleaning services since too much strenuous housework can put seniors to potential risks such as slipping and/or falling. While seniors are at home and capable of maintaining a clean home environment, this can give them a sense of purpose; just because they are older adults now, it does not mean they cannot carry out simple home responsibilities. When they seem fit enough and are adamant on doing things on their own, give them the chance to do so. 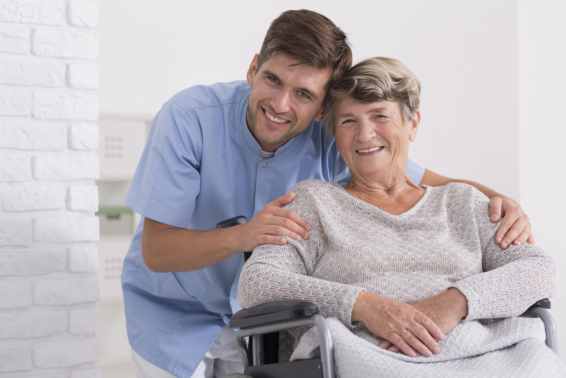 Secure an experienced and long-standing Home Care Service Provider in Hawaii for the safety of your senior loved one at home. Contact Helping Hands Healthcare or click here to send us a message or inquiry on senior home care services. This entry was posted in Senior Independence and tagged elderly care, healthcare, Home Care. Bookmark the permalink.